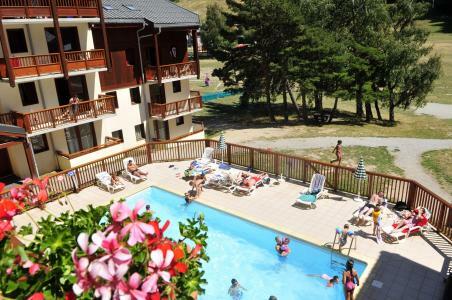 For successful summer holidays in the mountains, book your accommodation to La Norma in Northern Alps massive, Savoie. This mountain resort will offer you exceptionnal areas and surprising landscapes. Your summer accommodation to La Norma will be for you a moment of wellness in the heart of a beautiful nature and you will spend holidays in wide open spaces. Our moutain offers will make you live warm emotions with all your family. We propose you quality holidays accommodation in all French massives, in the heart of mountains. We have many residences to rent for your summer to La Norma. Let yourself be carried by a feeling of happiness, enjoy the summer holidays in the mountains full of sun and discoveries ! 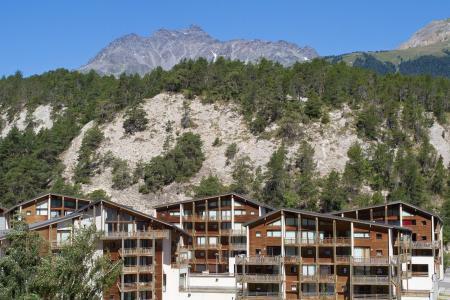 The residence (with a lift)Plein Soleil is situated at Avrieux, a small mountain village in the heart of the Haute Maurienne resorts (Savoy). You will have the choice between several resorts nearby the residence : 5 mn from La Norma and Aussois, 15 mn from Valfrejus and Orelle. You will stay in a new and well equipped apartment from a studio 3 people to a 3 room apartment for 8-10 people. Climbing, Via ferrata and paragliding at 5 minutes. Residence Les Herminières is made of about 40 apartments on 3 levels with 3 entrances. It is convenently located about 100 meters to hiking trails starting point. slopes bottom and close to the shops and all amenities. There is a free outdoor carpark in front of the residence. THIS SUMMER - BOOK 2 CONSECUTIVE WEEKS, THE CHEAPEST ONE IS FREE: only on apartments HED15 and HEB36. The residence Les Chalets et Balcons de la Vanoise (with lift), is built in the typical local style, located in the heart of the resort of La Norma. At your disposal: public free car park. You can benefit of the wonderful landscape and outdoor summer sports. Les Chalets du Petit Bonheur are big individual chalets or 1/2 chalets next to the forest in La Norma. There are situated 500 m from shops and the departure of the hiking trails. THIS SUMMER - BOOK 2 CONSECUTIVE WEEKS, THE CHEAPEST ONE IS FREE: only for chalet CHT91. Les Chalets Les Epervières are situated in La Norma resort, next to the forest. Each chalet is made of 6 apartments. Chalets are located at the upper part of the resort, in a quiet place, 400 m from shops and the departure of the hiking trails. THIS SUMMER - BOOK 2 CONSECUTIVE WEEKS, THE CHEAPEST ONE IS FREE: only for appartment EP72E and EP67F. 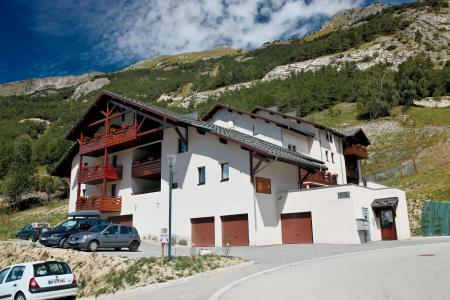 Les Chalets de la Vanoise is a great wooded residence composed of 5 chalets with lift. It is located 300 m away from the resort center of La Norma and entertainments. Shops are 250 m from the buildings. A free underground parking is at your disposal under the residence. Les Balcons d'Anaïs are composed of 3 mountain chalets with façade in wood and balconies, in the shape of a U. The shops and the resort center of La Norma is located at about 100 m. On the spot : reception, lounge. The residence has a lift. You will appreciate the outdoor swimming pool. The Résidence Les Arolles is located in the resort of La Norma. It is surrounding of a forest. The residence is at around 250m from shops and services of the village. You can join the center of the resort by a pedestrian way. You can park your car next to the residence. THIS SUMMER - BOOK 2 CONSECUTIVE WEEKS, THE CHEAPEST ONE IS FREE: only on apartments AR29B, AR13B, AR24B and AR16B. Les Avenières, is a 2 to 3-floor building, mainly made of wood. It has about 50 apartments. Shops and resort center are about 250 meters away. You'll find a free outdoor carpark in front of the residence. The residence Le Village is composed of 20 apartments on one level in La Norma resort. It is located above shops in the village center. The residence is located 50 m away from the cable car. A free indoor car park is 150 m from the residence. THIS SUMMER - BOOK 2 CONSECUTIVE WEEKS, THE CHEAPEST ONE IS FREE: only on 2 room apartment 4 people (VI92V).